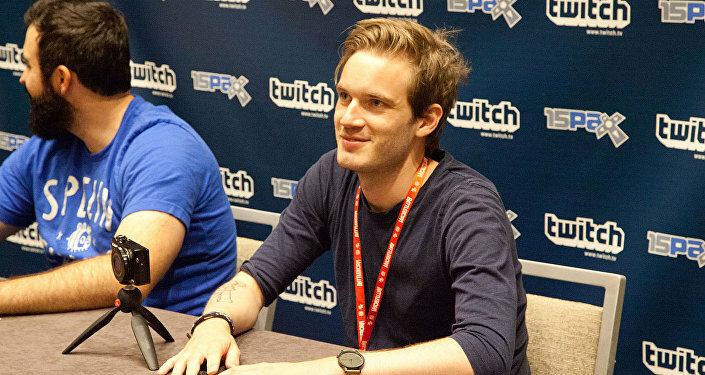 The Delhi Hight Court has ordered Felix Kjellberg, a.k.a PewDiePie, to "remove and disable access" to two viral diss tracks — "B*tch Lasagna" and his latest hit "Congratulations" —that the Swedish YouTuber recorded as part of his ongoing subscriber battle with Indian music label, T-Series, Dexerto reported. The alleged court order has ruled in favour of T-Series' complaint, in which the label claimed that Pewds' songs were "defamatory, disparaging, insulting and offensive", and contained "repeated comments which are abusive, vulgar and also racist in nature". The court likewise ruled that the YouTuber must "ensure that the said videos do not ever get uploaded again on the platform", Dexerto added. While the order's validity has yet to be confirmed, fans can only speculate whether the news is real or fake. — Tripat jeet singh (@jeet_tripat) 11 апреля 2019 г. — g a n k s (@gankycrepe) 11 апреля 2019 г. — Matty — #SaveSH 🏹 🏳️‍🌈 (@mattsarrow) 11 апреля 2019 г. — Igor (@RogiT_T) 10 апреля 2019 г.
T-series asked the Supreme Court of India to make YouTube remove @pewdiepie 's music videos from the platform. Does this mean we'll be getting more diss tracks? — Patches with Matches (@love2tinkle) 11 апреля 2019 г. — Samantha Spurling (@Sam6832) 11 апреля 2019 г. — Simple Raccoon (@SimpleRaccoonyt) 11 апреля 2019 г. — DogBeef (@DogByf) 10 апреля 2019 г.
I'm an Indian and Still not defamation! — Dishank 💀 (@Dishleo10) 10 апреля 2019 г. As an Indian I feel like I should apologize on their behalf. Gomensai. We are not like those people. Please don't think them as us. — Crow (@CrowTheCrow1) 10 апреля 2019 г. — Madhav Vij (@MadHouseKiller1) 10 апреля 2019 г. The report comes shortly after PewDiePie released his "Congratulations" diss track to sarcastically applaud T-Series for outstripping him in the subscription race. The Swedish vlogger made several jibes at the music giant and its CEO Bhushan Kumar, having accused him of tax evasion, having ties to the mafia and even alluded to sexual harassment allegations against him from October 2018. Still, the YouTuber emphasised in his song that "for legal reasons, that's a joke". Felix also appeared to refer to a "cease and desist" letter from the label, accusing him of violating the defamation law. T-Series has managed to outrun Pewds in subscription numbers on a multitude of occasions, but each time the Swede’s fans quickly helped him regain his title of the most subscribed YouTuber. PewDiePie had had the most subscribed channel since 2013, while T-Series saw a massive surge in its follower base last year due to the country’s recent, widespread procurement of Wi-Fi, thanks to mobile network provider Jio. This is not the only scandal that Kjellberg has been involved in recent days: a Change.org petition also seeks to ban him from YouTube due to "white supremacist" content he allegedly espouts. He addressed the petition in a 7 April video, stressing that many of the claims were "blatantly misrepresenting and misinforming people". "A lot of these points are just flat-out lies as well. Honestly, it's surprising how change.org is even letting this be up because there's nothing to back up any of the claims", Felix added. The petition in question was launched in the aftermath of the Christchurch mosque attacks after the gunman, who livestreamed the carnage on Facebook, encouraged to "subscribe to PewDiePie" moments before going on a shooting rampage that killed 50 people.